It was the Jewish Pirkei Avot (Sayings of the fathers) that stated, "seven kinds of punishment comes to the world due to seven kinds of transgressions.... the sword of war comes due to delay and perversion of justice." The Jews who are the custodian of the Torah and other mysteries of the earth, understand this esoteric information better that war inevitably becomes the last resort in any given society that is bent on trampling upon the inalienable human rights of people with impunity as Nigeria is seen doing all the time. This further throws light on the notion that the problem of Nigeria today is more of a spiritual chastisement than one can imagine. It is a known fact that when humans refuse to do justice when placed in the position to perform, spirits or mother nature as some understands, take it upon themselves to punish individuals and perpetrators, so as to restore orderliness in the world The Holy One, created. 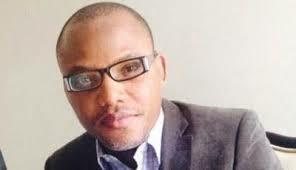 Read also:WE DO NOT NEGOTIATE WITH A TERRORIST: IT IS BIAFRA OR NOTHING! Nigeria is being punished today for many sins and atrocities, just like the ancient Babylon, or the Biblical Sodom and Gomorrah. God is never asleep over the world He created as some people would erroneously believe. God has remembered the numerous sins of Nigeria rogue leaders and have come to punish them by raising militia freedom fighters who are out to confront the grossly desecrated military who are always seen collecting money from motorists on the high ways or punishing or killing innocent people who committed no crime but only that they asked for their freedom. When God is about to judge a nation, He first of all punishes the military through various means, just as He did to the mighty armies of Pharaoh when He killed the first born of his country who were the military back bone of Egypt. Since the emergence of Boko Haram, Nigeria has lost its military so much that they are hiding their number of deaths and casualties from the public! Recently, a freedom fighter group known as Niger Delta Avengers, NDA, emerged with their demands, and Nigeria government and its material minded military goofed at them, and sent full military warfare to the creeks to fight them. Read also:THE AVENGERS ARE FIGHTING A JUST CAUSE:BUHARI SHOULD OBEY! Things took a drastic turn around when those sent to kill became the killed. The loss was so much that the Northerners whose children are among the deployed army that lost their lives, took to the social media to express their condolences and disgust over the idea of fighting NDA. Not quite long that NDA started the business that brought them there - blowing major oil pipe lines where the rogue country and her thieving leaders have been living on for decades. They went ahead to give June 7th as the date they will test their missiles to any target of their choice right in the heart of Nigeria cities that have been gorgeously built with Biafra oil money. Surprisingly, Nigeria government barely three hours to the end of the time for the testing, officially announced the withdrawal of its soldiers in the creeks and opted for negotiation. But curious minds wonders if the negotiation Nigeria is asking for is different from what NDA made known to them on their arrival which includes the release of Nnamdi Kanu before any negotiation would take place? 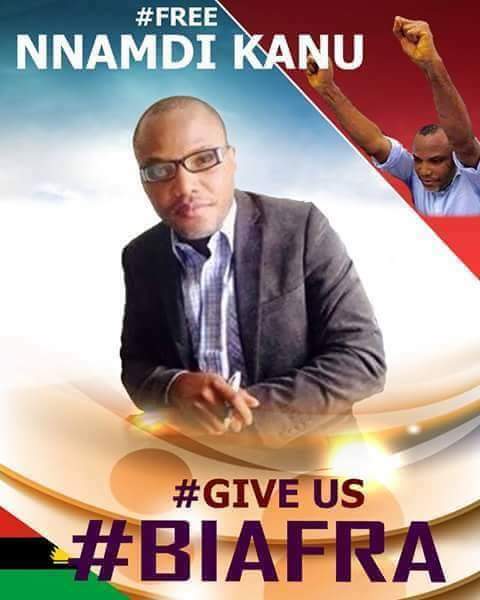 Secondly, why are they negotiating even without Nnamdi Kanu? Will such negotiation be seen as real and reliable? Is it now that they understand their responsibility in the Niger Delta than ever? It was reported today that the United States (US) has thrown its weight behind Federal Government planned dialogue with the Niger Delta militant.US in a statement issued by its embassy in Abuja Tuesday encouraged all parties to resolve their disputes through peaceful means. The statement reads: “The U.S. Mission to Nigeria is monitoring reports of attacks and other incidents in the Niger Delta. We share the concerns of all Nigerians about these attacks. How are we sure the dialogue/negotiation is not a well calculated ploy meant to spy on the Avengers and have sway over them considering Nigeria's deceitful nature? It is in light of this laughable developments that I write to encourage NDA to stand firm on its demands and never to consider any monetary option or promise because Nigeria is very notorious and full of subterfuges. Our brothers who were promised amnesty by the same people are currently languishing in various places in Europe where they were taken to and abandoned because they are considered dangerous to their system. It is the same style that they are coming back with, calling you "brothers", a word that has never been used for anybody from this zone since the creation of the rogue country. Their coming for negotiation is simply deceitful and those who understand Nigeria well should stand their ground. All they understand is war and not peace. Nigeria is not a nation of peace just as its imperial mother, Britain. But this time both must be brought to their knees. It is pay back time and no one should relent about it. All Hail Biafra!